Each application solves real problems and delivers real value. But combine them and you get the power and possibilities to transform your business. Built on an extensible platform with shared data and digital intelligence, Dynamics 365 helps your team make the most of every minute. Get individual apps that work brilliantly on their own or together—so you can tailor a solution to your needs. And with Business and Enterprise editions, you’re covered from a few employees to thousands. Help your employees work more efficiently. 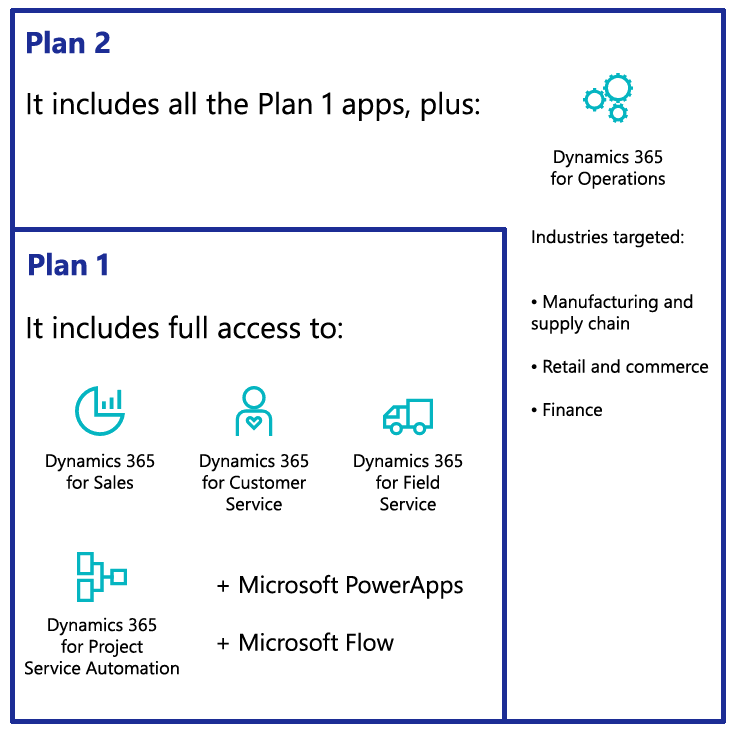 Dynamics 365 pulls together your business process apps and familiar Microsoft Office 365 tools. Employees can do CRM tasks in Outlook and ERP tasks in Excel. Improve your decisions with data. With Microsoft Power BI, Cortana Intelligence, and Azure Machine Learning built in, Dynamics 365 helps you and your employees turn big data into actionable plans. Give your teams easy-to-use applications that provide a single view of your data—and a single platform for business growth. They all work with Microsoft PowerApps and Microsoft Flow. * Lower promotional pricing in effect. See plans and pricing for details.